We knew we'd go somewhere Veteran's Day weekend, but where? It would be a quick, 4-day adventure with a maximum 6-hour drive time. We looked for all the places within 6 hours of Amherst (35 miles west of Cleveland) where we could hike. 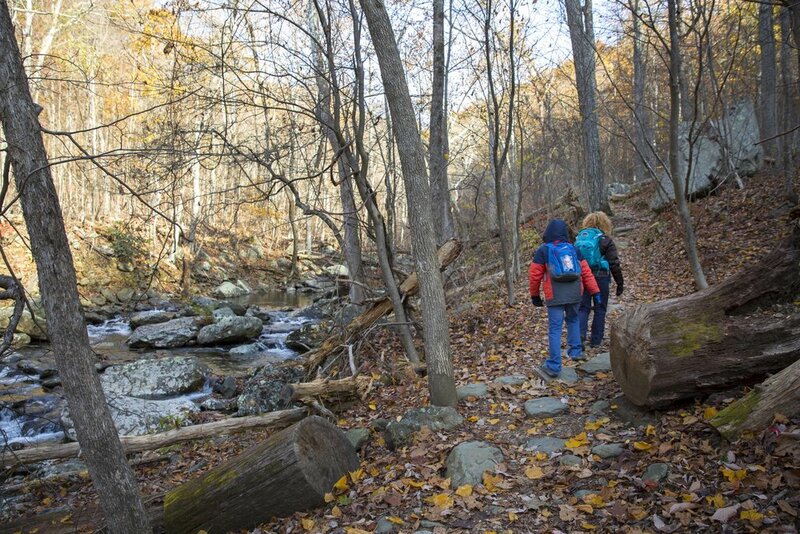 A week before leaving we checked the forecasts and were thrilled to see a good weather at Shenandoah National Park . Wow... what an awesome weekend! Given the short nature of our trip we planned on concentrating on the North and Central Districts of the Park. We looked at various areas to stay and decided to stay in the town of Luray, Virginia. It seemed like the perfect spot, located in the Shenandoah valley near Thorton Gap, one of the main entrances to the park. We left first thing on Thursday morning and headed for the north entrance of Shenandoah National Park in/near Front Royal, Virginia. The trip took around 6-6 1/2 hours with a couple of stops food, gas, and bathroom breaks. After paying our $25 vehicle fee for a 7-day pass and we headed to the Dickey Ridge visitors center. At the gate they warned us that it was very foggy in the park and as we approached the visitors center we saw what they were talking about! The fog was a big curve ball... we were planning to explore Skyline Drive, take in awesome views, and go on a short hike... but we could barely see 10 feet in front of us! I was bummed at first, but Carrie thought it was great! Why? Check out her short video at a https://youtu.be/CsphCJQkC0Q . Her excitement was contagious and I realized that we were experiencing something really unique. 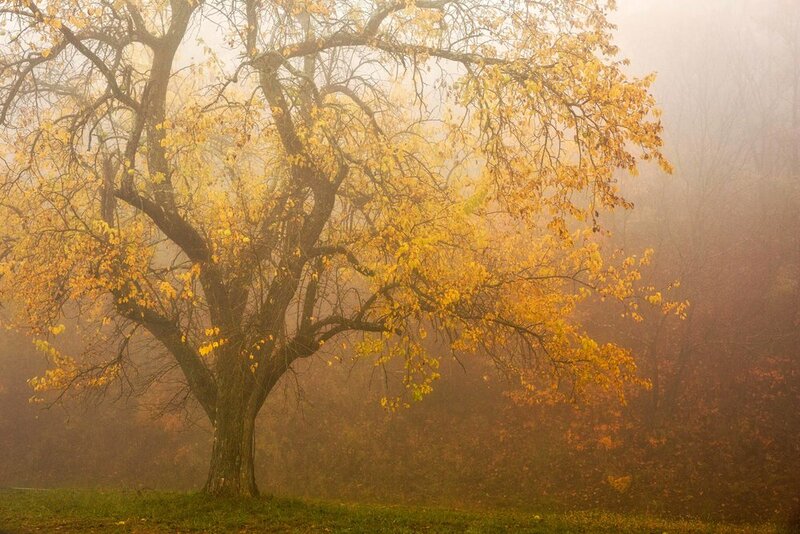 We spent the next couple hours finding cool spots on Skyline Drive in awe of the amazing atmosphere the fog was creating. It is difficult to explain in words, but the light and depth in the trees were amazing!! The house could not have been more perfect for us! It is only 2 blocks from Main St. where the majority of shops, restaurants, etc. are located, and about 10 minutes driving from the park entrance. We enjoyed using the full kitchen to prepare most of our meals, found the beds very comfortable, and loved the cozy atmosphere. We'd stay in this house again for sure! Our first night in town and had a really nice dinner at Moonshadows Restaurant, which is within walking distance of the house. We had jumbo shrimp curry, trout, salads, and Daniel had a double order of the kids grilled chicken. Everything was delicious and high quality. 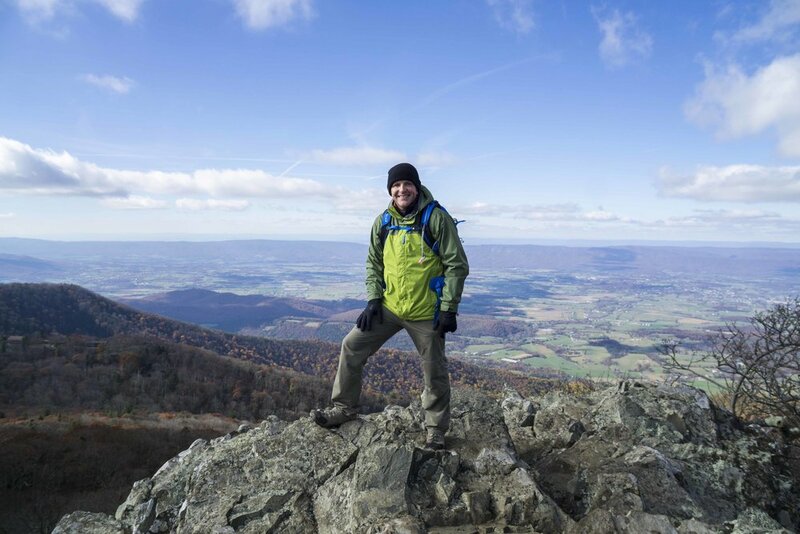 After sunrise we headed Hawksbill, a popular trail that leads to the highest point in Shenandoah National Park, to get on the trail before the crowds rolled in. The trail is short but vertically challenging. When we got to the top we had the whole place to ourselves. The views are amazing! Our next stop was Dark Hollow Falls. The hike to the falls is 1.5 mile out and back (about 3 miles round trip). The trail is easy to follow and descends on the way in and inclines on the way out. The waterfall is pretty amazing an definitely worth going all the way to the bottom. We were happy to find the Harry F. Byrd, Sr. Visitor Center for a quick pit-stop. This visitor center has more than most - food, bathrooms, gas, and air. There are very few exits from Skyline Drive, and it's nice to know that you don't have to exit the park if you're running low on gas! The last trail of the day was Stony Man Summit Trail. It was fairly crowded, as expected midday on a holiday weekend. The hike is a continuous climb with two separate routes, leading to an amazing panoramic view. 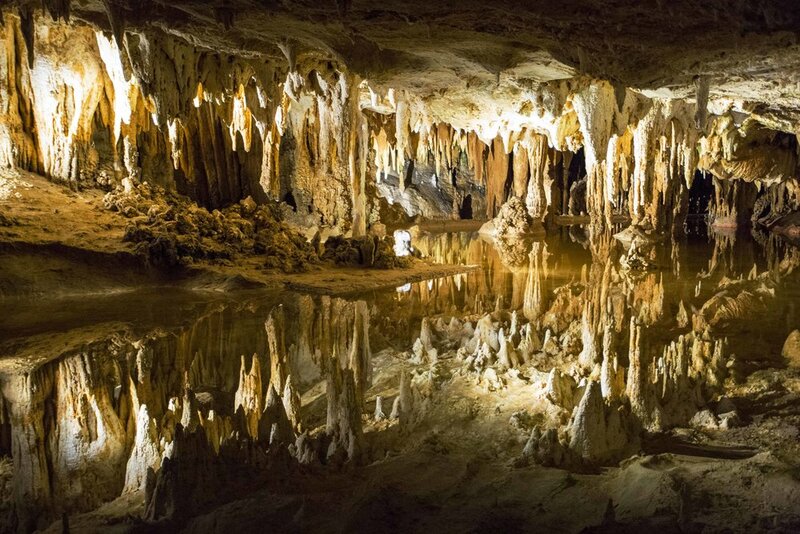 We had one must-do activity out of the park... Luray Caverns. Carrie and I weren't sure what to expect, but we knew Daniel would love it. 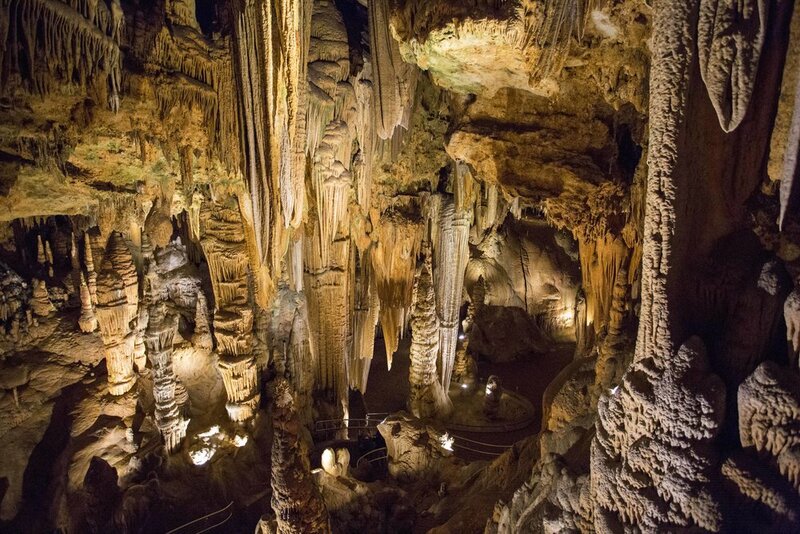 The Luray Caverns were worth every cent of the $68 entrance fee! We felt like we were visiting a different planet. 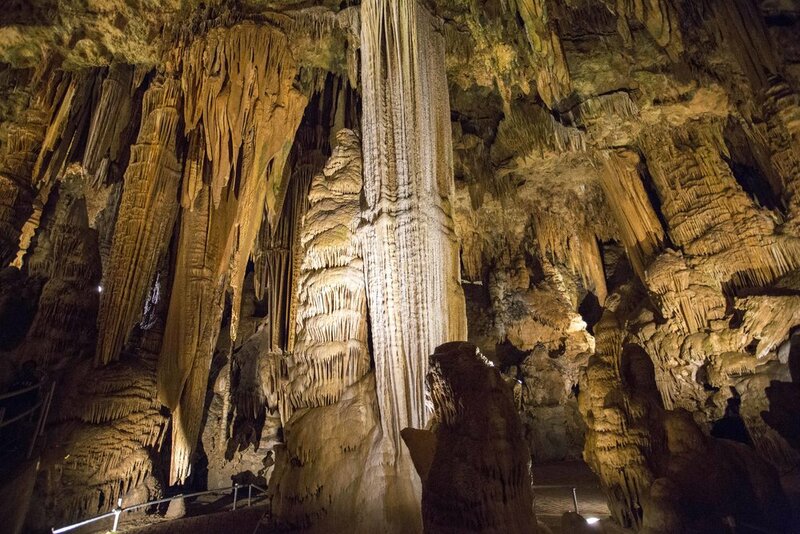 The hour long tour took us 24 stories beneath the surface to see stalactites and stalagmites that grow somewhere around 1 cubic inch per 126 years...by that math, there are certain formations that may be as old as 7 million years! We wanted to switch up our experience on day 3 and hike one long trail. 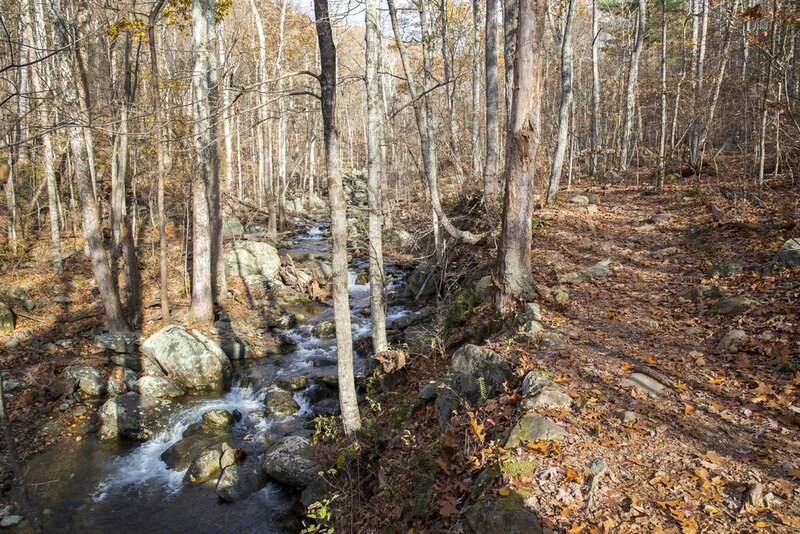 initially we planned to take the 6 mile out and back White Oak Canyon Trail which features 6 waterfalls. The trailhead is located outside of the park and the drive winds through a couple cute small towns and beautiful countryside. An item to note, the 45-minute drive takes you to State Route 600 where you take a right turn to get to the parking area. However, State Route 600 isn't marked. Instead, the road is marked Weakly Hollow Road. Before getting to the trailhead we were approached by a park ranger. (Note that this hike is still part of the park and you need to have your receipt for your vehicle pass, or you'll need to purchase anther pass.) The ranger asked if we had hiked there before and where we were headed. He suggested a slightly longer route (two additional miles) but would be a loop instead of an out and back. We noted this and figured we'd decide at the top! The trail gradually builds in height and difficulty winding and rising up from the river bed. There are said to be 6 waterfall, though it is honestly tough to count them as the water continually cascades down. 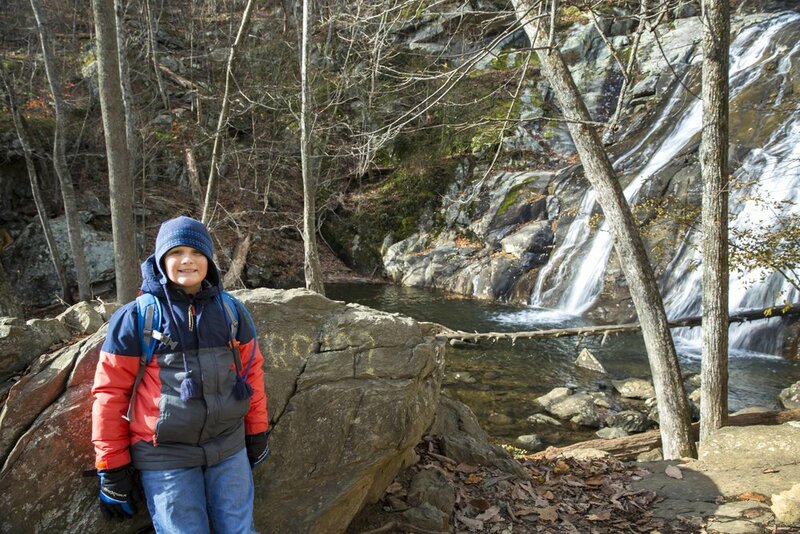 A couple of the falls are significantly larger than the others and we stopped to enjoy both. The trail is fairly difficult...almost all up when heading in this direction and lots of rocks to navigate. However, it's totally worth it! We assumed that we had completed the majority of the uphill...we were wrong! The fire road wound upward through the woods. After hiking along the White Oak trail and experiencing the amazing waterfall views, the fire road was a little boring, especially for Daniel. As we neared the connector to the Cedar Trail we met a couple just heading out the direction we had come from. We started a conversation and compared notes about the trails. They could sense Daniel's interest level waning after the fire road and offered him a little "trail magic". Though "trail magic" is customarily reserved for through hikers, a 9-year-old who just hiked 5 miles up was granted an exception! That handful of chocolate chip teddy grahams were just what he needed to boost his spirits! The 3 mile return trip "down" Cedar Run Falls is absolutely beautiful with a waterfall that seems to meander down the mountain for the entire trail. Note that the downhill is challenging and includes wet rocks and two river crossings. Feeling a great sense of accomplishment we headed back to our house, made some pulled pork nachos, and were all in bed by 8:30! 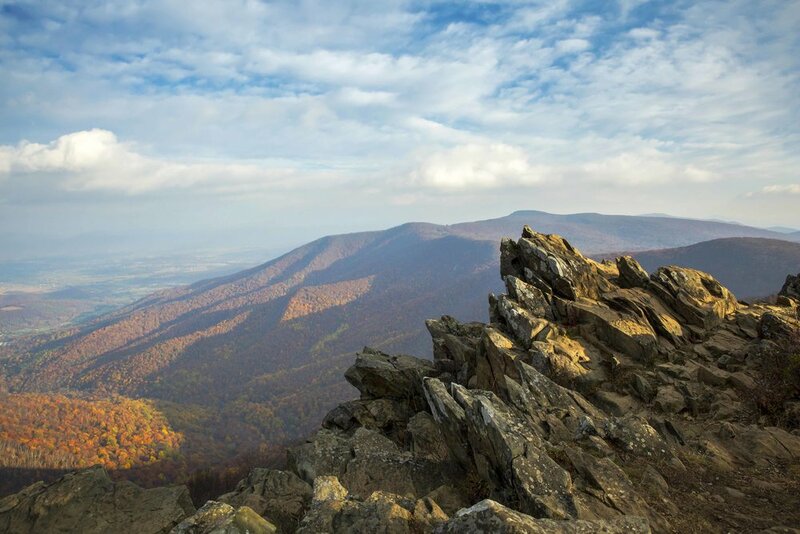 The Shenandoah National Park is amazing. We only experienced a small part of the park and will be back for more! Older PostA Perfect Rocky Mountain Retreat!